A teenager visits his friend in the hospital after an attempt and together the two of them wade through an awkward and difficult conversation that reveals the depths of friendship and a willingness to support each other. Emily Hageman, theatre and music educator and playwright, was born in California, raised in Colorado, and now lives in Iowa. Emily's one acts, short plays, and monologues have primarily been performed in Northwest Iowa, but have been performed in California, Florida, Kansas, Illinois, Missouri, Oklahoma, Washington, and the UK. Her plays have been featured in Heartland Theatre's Ten Minute Play Festival, Spokane Stage Left's Playwrights Playground, Theatre Lawrence's Short Play Festival, the Stillwater Short Play Festival, the UK Gi60 Festival, Heartland Theatre's New Plays from the Heartland Competition, Theatre Evolve's New Works Festival, the Midwest Dramatists Convention, and A Light in Dark Places. Emily's one acts geared towards high schoolers are also being performed throughout the nation during the 2018-2019 school year. Emily's new theatrical pieces are being constantly workshopped by the magnificent high school and middle school actors at Siouxland Christian School. Danté is making his directorial debut with the premiere of The Orchid, written by the talented Emily Hageman. He is excited and humbled to be involved with ALIDP again. 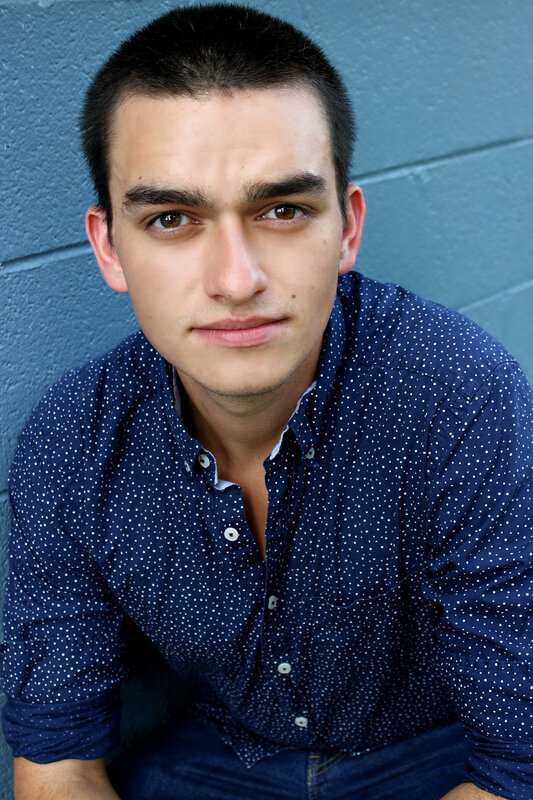 He is an LA based actor who has worked on plays such as Babel and the Black Sea by Tim McNeil, Hamlet by William Shakespeare, and Bug by Tracy Letts. He and his brothers made a full length feature film called SPIT in 2012, in which he played one of the leads named Smitty. Danté is a proud alumni of Stella Adler and grateful for everything the school has taught him. Andrew Morra is an young actor from New York. He is excited and honored to be a part of this years, A Light in Dark Places. Andrew began his acting training during his junior year at Lafayette College in Easton, Pennsylvania. Upon his graduation from the program, he has continued his studies at Stella Adler Academy of Acting and Theater in Los Angeles. He has appeared in theatrical productions, which include, King John by William Shakespeare, A Lie of the Mind by Sam Shepard, Metamorphoses by Mary Zimmerman, and Talk Radio by Eric Bogosian.